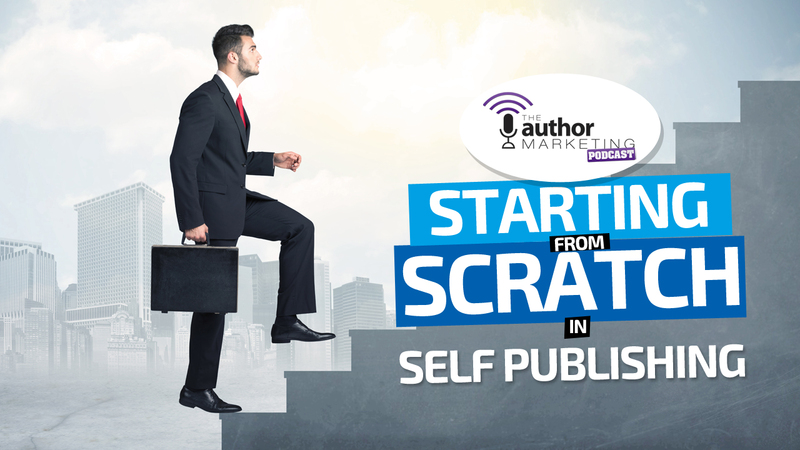 We share a lot of advanced steps here on the Author Marketing Institute, but there are still plenty of people out there who are starting at the very beginning. Every day, more authors who’ve sent hundreds of query letters consider the option of self-publishing. Given how far the market has come in the last five years, it would be easy to give indie publishing a shot and become completely overwhelmed in a heartbeat. Don’t be. Tens of thousands of authors have tried their hand at self-publishing a book, and many of them made countless mistakes along the way. Don’t let the fact that they’ve already learned the ropes discourage you. Instead, get excited that other authors have dealt with every possible mistake so that you don’t have to. The self-publishing community is very inclusive, and it’s rarely hard to find an answer to even the most complicated of questions. You’ve come to the right career. If there’s one thing that indies and trad pubs have in common, it’s that nobody’s going to write the book for you (unless you have lots of money to spare). While self-publishing lets you put out multiple books a year without gatekeepers, we recommend that you finish a book before you learn all the ins and outs of being an indie. Writing your first book and learning a new skill set are tough enough on their own without trying to figure out both at the same time. Finish your book and get it into a format that’s easy to convert like a word processing program. Once you’ve got your book ready for the world, it’s time to learn more about how the industry works. Take a look at the recent topics for the Author Marketing Institute and you’ll see just how far everything has come. Most articles focus on deeper aspects of marketing like networking and saving up for advertising campaigns. Advanced topics like these aren’t where you should start your research. Most of the information you need to know to get started is available for free on a variety of blogs or in digital book form for $4.99 or less. We also have a free course on Author Marketing Academy called How to Sell Your First 100 Copies that’ll give you some important background info. There’s no point in breaking the bank to learn the basics. You shouldn’t be paying someone $1,000 to hold your hand through the process and you don’t need a several-hundred dollar course. If you’re a visual learner, turn to YouTube before you look to sites like Udemy. When you’ve got your first book out later on down the line, you may be able to justify spending significant money to learn new skills, but don’t break the bank during the early research portion of the process. You’ve read a few books and you’ve watched the videos you need to get the basics in place. At this point, unless you’re a computer wiz, you probably have a few questions. Fortunately, there are multiple places you can turn for answers. Extremely helpful authors are always lurking on a variety of Facebook Groups and on the KBoards message board. Join the groups and the forum and take a few days to read the kinds of posts that are usually responded to. You’ll see info on a whole bunch of different subjects, so try not to go down the rabbit hole on anything that takes you beyond the basic at this point. Once you have a feel for the groups, post your question to one of those places. If you don’t get the answer you’re looking for after a day or two, you can try posting to one of the other locations. You’re bound to get the answers you need from one of these sites. Don’t spam these groups with dozens of questions per day. Only use them if you truly don’t understand something. When you use these groups as intended, you may even connect with more advanced authors who are willing to lend you a hand in times of need. You never know what positive results will occur from forging these connections, so make sure to treat these contacts with respect and kindness. With your growing understanding of self-publishing and a few sources of support available as needed, there’s no reason you shouldn’t dive in by trying publish your book. It’s scary to think that you’re so close to pushing the Publish button, but don’t let that fear freeze you up. There are few better ways to learn than hands on experience. That’s why it’s so important that you go through the process at least once on your own. Don’t worry too much about putting out the perfect book with the perfect cover. If you spend too much time waffling over a certain phrase or color, then you’ll never get your second book up. And your third. Push all the way through and get your book online if you can. Problems are bound to arise when you’re doing anything technical for the first time. They can still come about for authors who’ve gone through the process dozens of time. If you’re completely stuck and can’t figure out a way through your issue, then you have our permission to seek out some paid help. Most Kindle publishing tasks can be bought dirt-cheap on sites like Fiverr. You’d be surprised how many authors get semi-professional covers, editing, and formatting through sites like this. You can go a bit higher-end with these services, but there’s no need to spend thousands of dollars. Anybody who offers you prices in the four-figures are trying to scam you. Don’t fall for it. Seek out the highest-rated and most affordable help you can find for your first book. You can always upgrade to higher-quality work when you’ve gotten a few sales under your belt. Even with a collection of books and videos, a network of helpful peers, and some inexpensive contractors, you may feel completely overwhelmed. Remember that you don’t have to do it all at once. The only reason current authors are able to create their work so quickly and effortlessly is because they suffered through the first few times. They were as overwhelmed as you were, but they took things one step at a time. Working on formatting and book covers and choosing a platform doesn’t all need to take place in a five-hour period. Take your time. Consult your resources. Soon enough, you’ll have your book online for everyone to see. We’re happy to have you, and we wish you the best of success. Once you’ve gotten books one and two up using the previous six steps, start branching out to learn more on the marketing side of things. You can use the above steps for any new publishing skill that you think will help you succeed. Keep learning and keep growing. There’s a long way to go, but we’re happy to be there to help you along the way.